Create a comfy spot for your dog on the deck or in the living room with our sumptuously comfortable Paw-Wine Polycotton Dogbed Cover that is durable enough to stand up to rough weather or rougher play. The cover is made from quality 70% polyester 30% cotton and back with 100% polypropylene material that is extremely soft against skin and comes with handy zip for easy cleaning. 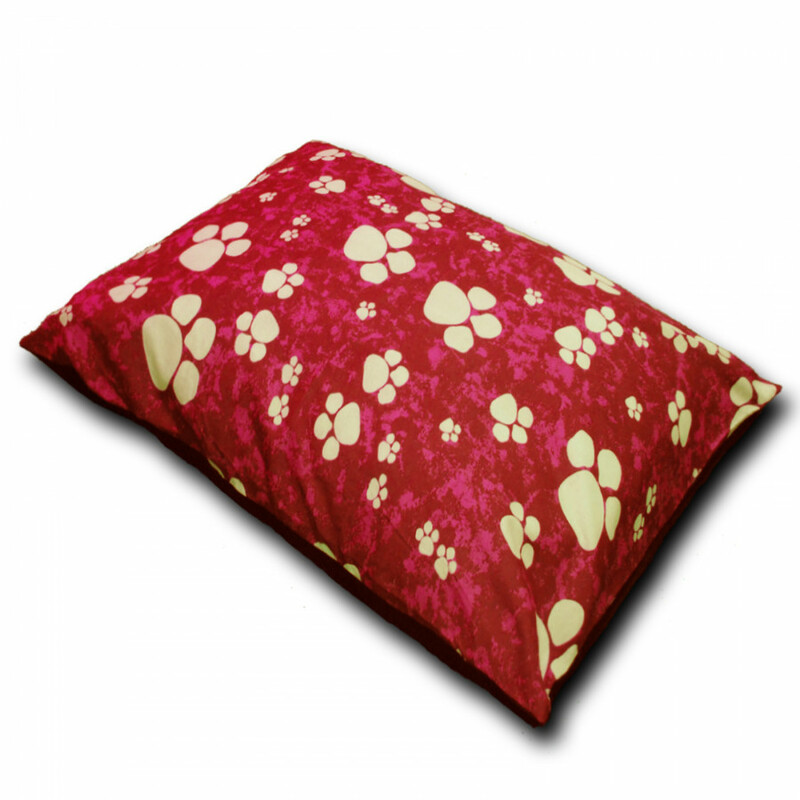 Your furry friend will surely love its red colour paw design. This dog bed cover with cover comes in Small, Large 26" x 38" (66cm x 96cm) and Extra large 38” x 58” (96 cm x 147 cm) and is hand washable.